As a result, Garrett developed cerebral palsy. Meanwhile, shortly after Troy was delivered, he suffered a stroke and was also diagnosed with cerebral palsy. The twin boys spent several months in the NICU at the hospital. Today — 27 years later — they’re both highly respected employees at Goodwill. 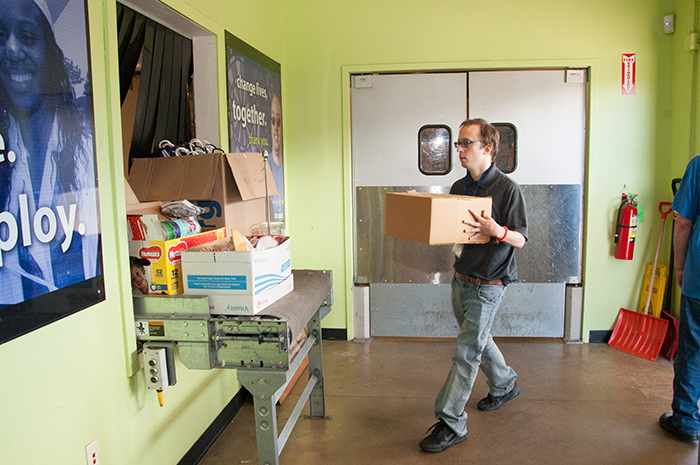 Initially a volunteer, Troy was paired with our Lafayette retail store in 2016. 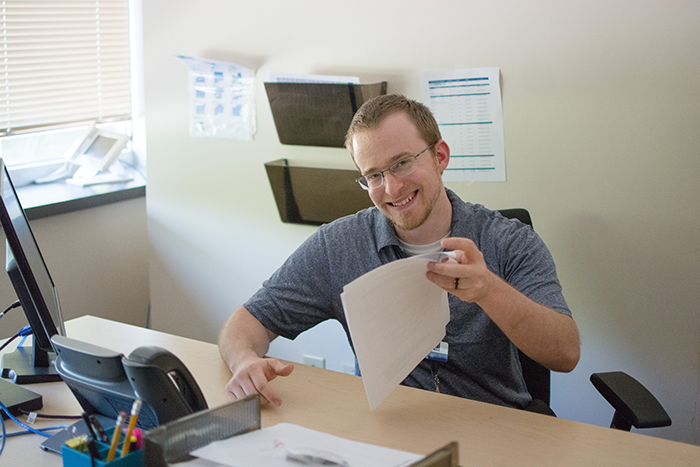 Troy started as a part-time associate, but through his passion and dedication, earned a full-time promotion to Team Lead, a position with more responsibility that requires him to manage as many as 30 employees in a single shift. Garrett majored in rhetoric and Spanish at Wabash College. 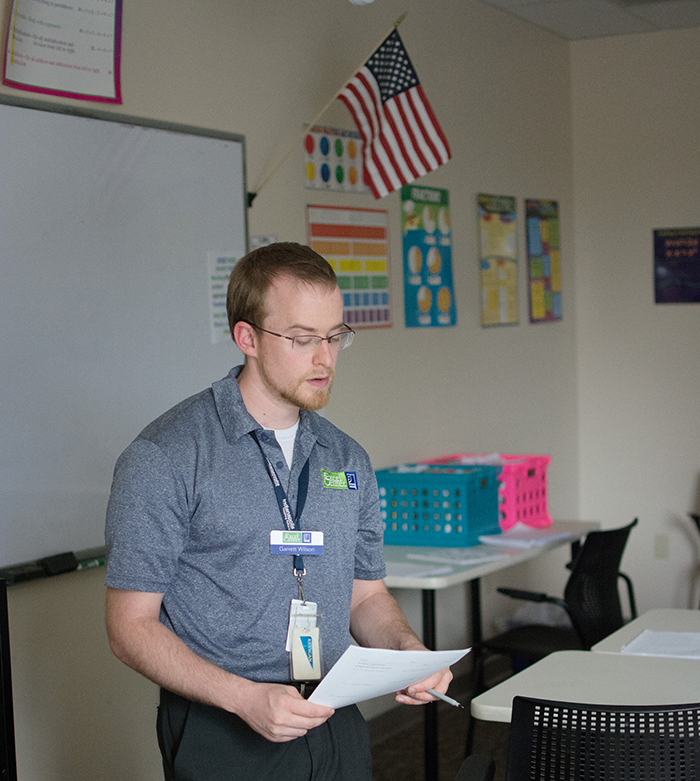 In 2015, he joined The Excel Center, Goodwill’s high school for adults, as a first-time teacher. He taught math, English and humanities, and is now Lead Teacher at The Excel Center in Lafayette. Garrett often refers students who are looking for a job to Troy. Likewise, Troy refers employees who need a high school diploma to Garrett. 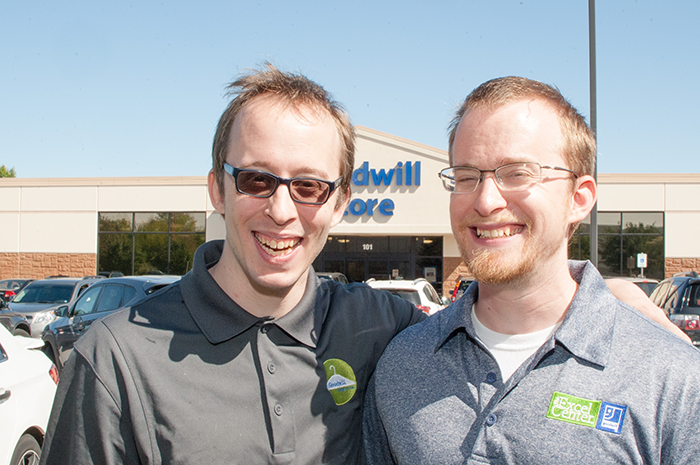 Together, these brothers are living out Goodwill’s mission and illustrating a culture of opportunity that is only possible thanks to people like you, who donate and shop at Goodwill.